The referendum for self-determination in Catalonia, scheduled for October 1st and requested by a majority of Catalan citizens, seeks to determine the relationship between Catalonia and the Spanish state. The referendum is a mechanism to make the existing political conflict visible and transform it. 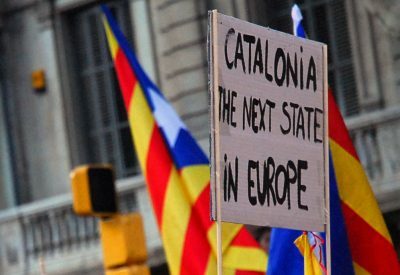 The repressive response of the Spanish State in order to prevent it, with judicial and police actions against democratically elected Catalan institutions, is a serious setback in terms of guaranteeing human rights and individual and collective freedoms in Catalonia, and a deterioration of democracy and the rule of law as a whole. These actions are unacceptable within the framework of democratic states. This is why we, civil society, call for solidarity and national and international support, and ask for endorsement to this statement. As entities with a long history of defending human rights, we denounce the measures taken by the Spanish State in response to the October 1st referendum -suspended but not yet declared unconstitutional by the Constitutional Court – as having basically intimidating purposes, in many cases have been made without judicial protection, and contravene international treaties ratified by the State such as the International Covenant on Civil and Political Rights and the European Convention for the Protection of Human Rights and Fundamental Freedoms, the Spanish Constitution itself and provisions of the Statute of Catalan Autonomy. These measures are unnecessary, clearly disproportionate and involve the violation of four fundamental human rights: the right to a fair trial and effective judicial protection; the right to privacy, inviolability of the home and privacy of communications; the right to freedom of expression and information; and the right to freedom of assembly and demonstration. With regard to the right to a fair trial and effective judicial protection, and before the Attorney General’s order citing public officials to declare, we DENOUNCE that this is an abusive procedural action that violates, among others, the principle of proportionality and minimum criminal intervention. We are facing a premature criminalisation – the facts to be pursued will not be consummated, in any case, not before October 1st – as well as unnecessary, since the prosecutor’s order itself shows that legal proceedings including these facts have already been filed. With regard to the right to privacy, inviolability of the home and privacy of communications, and in face of the proceedings against public and private postal service companies, we DENOUNCE that the right to privacy, in the private and social residence, and the privacy of communications, are basic rights in a state governed by the rule of law and can only be limited, by judicial order, for a legitimate purpose, and proportionately. These actions are unnecessary since they are not intended to protect a higher interest and have been decided arbitrarily. With regard to the right to freedom of expression and to receive information, and in view of the various measures taken to prevent the dissemination of certain messages and campaigns, we want to point out that restrictions on freedom of expression, a right which is part of the essential core of the democratic principle and political pluralism, are only justified when the ideas in question involve a direct and serious infringement of other constitutionally protected rights or property, or are likely to entail real and serious harm or risk. With regard to the media, any limits on the right to information should be based on the protection of other fundamental rights. We DENOUNCE that the dissemination of the information that has been attempted to prohibit or limit, does not entail any serious damage, and that the measures taken against the media are exorbitant and unjustified interference. With regard to the limitations on the right to freedom of assembly and demonstration, and on the prohibition of events, we DENOUNCE the absolute lack of justification for these limitations, given the proven peaceful nature of these events, and as an expression of political pluralism, one of the highest values ​​according to the Spanish Constitution’s article. 1.1. These are decisions that seek to prosecute and criminalise legitimate citizen mobilisation, while rejecting the necessary channels for dialogue and negotiation of a peacefully expressed political conflict. We demand political representatives to fulfil their task of resolving problems politically and not with repressive actions towards those they represent. We encourage citizens to continue to defend their rights through mobilisation, gatherings, demonstrations or actions of civil disobedience, following the principles of non-violence and peace. We stand in solidarity with all who have suffered repression so far. In face of any further violations of fundamental rights we announce that we are launching a Rights’ Observers Network to follow the events on October 1st, together with legal and psychosocial support, and are activating mechanisms for reporting, counselling and protection to deal with police and judicial actions from now until the day of the referendum, and if necessary, to be maintained afterwards. This article was originally published in Spanish by Lafede.cat. Featured image is from EUobserver.